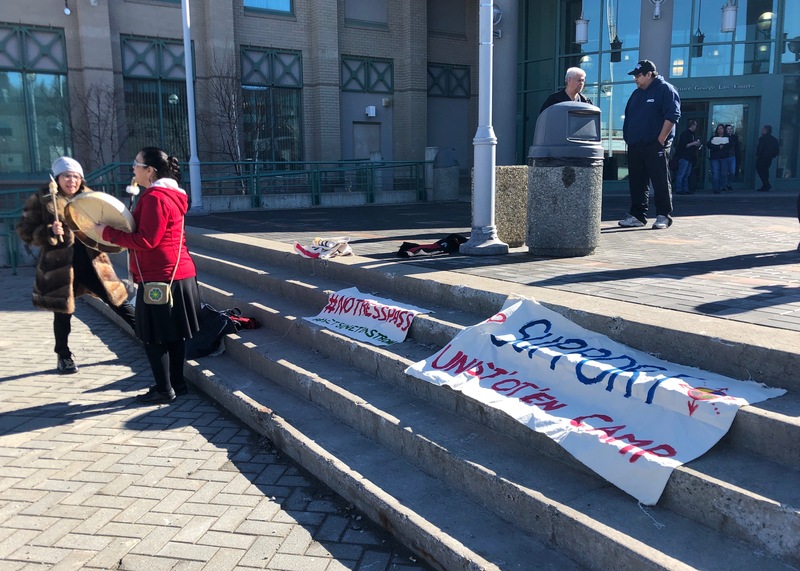 Today at the Prince George courthouse the Crown and Coastal Gas Links decided not to move ahead with criminal and civil charges against the people arrested at Gidimt’en roadblock. On January 7, RCMP arrested 14 people on the Morice River Service Road outside of Houston for allegedly breaching an interim injunction. 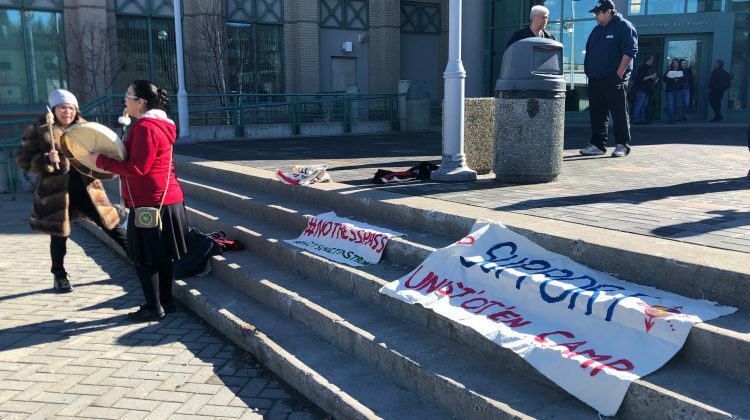 The British Columbia Prosecution Services said due to the fact the injunction was against named defendants and not against those arrested they are not satisfied that there is enough evidence for a conviction. Council to Molly Wickham and the 14 others arrested, Martin Peters said he was surprised it happened so quickly but delighted they saw the wisdom in stepping aside. Wickham said she is relieved not to have to deal with the courts, but the fight is far from over. A second case against Rob Alfred for allegedly breaching the injunction after the first incident will return to court on June 10.